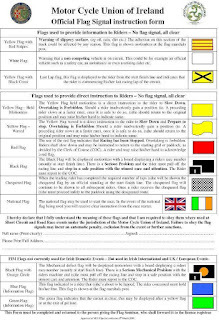 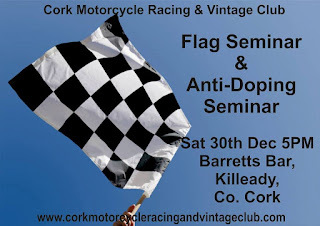 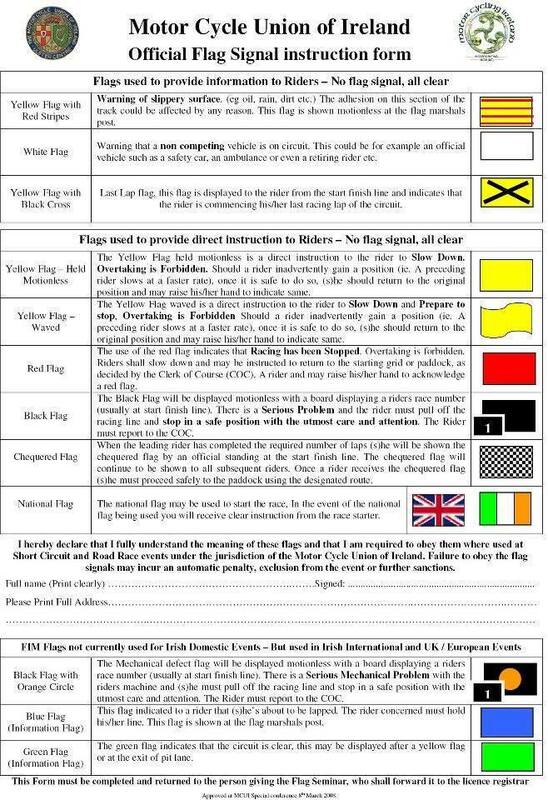 The flag seminars appear on the horizon today kicking off, as the Cork Motorcycle Racing and Vintage Club host theirs this afternoon at 5pm in Barrett's bar Killeady. 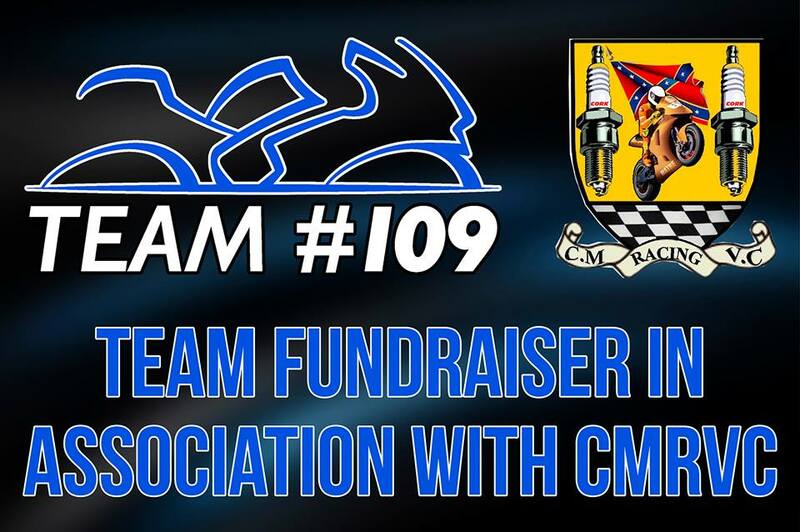 Following this, a fundraiser will take place for Team 109 who are supported by the CMRVC club. 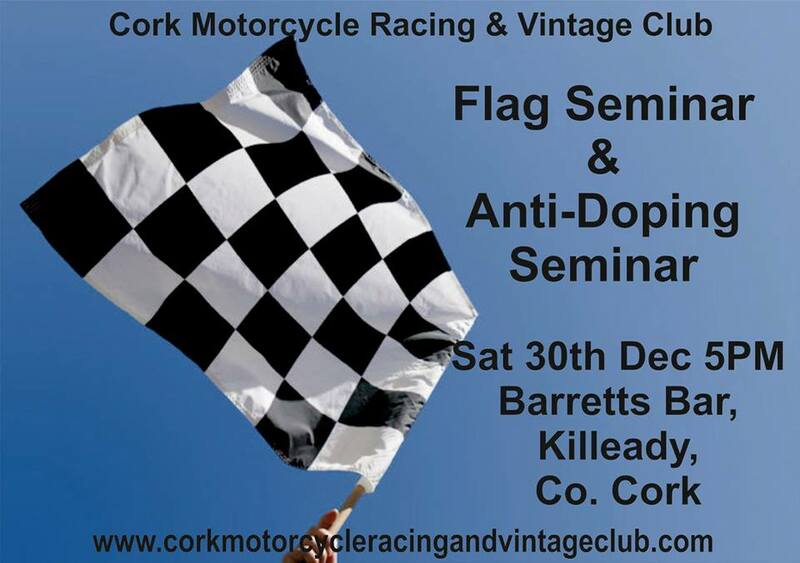 Glenn Irwin will be on hand for the event and should make for a exciting evening. 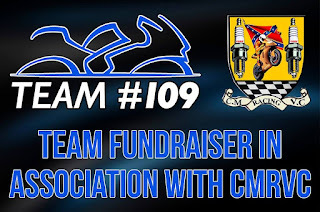 Team 109 will be running three riders in the upcoming season, so please try to get over to support the event.